There are of course many good reasons not only people, but governments of the world are beginning to actually take seriously the imminent need to find and produce alternative, renewable, and most of all environmentally sustainable energy sources. The world is waking up to the fact that we are in a bit of crisis. One that will cause a fundamental shift in our daily activities of life, determine, and I really don’t think I’m being overly dramatic here, whether we as a race, the human race, will continue to live on this Earth. It’s also really good, because it illustrates a concept that’s been floating in my head for about 10 years now. The concept of Hippie Tinge. Youth subcultures come and go, and come again. Such is the cycle when there’s nothing really new under the sun. But often the aesthetics and sensibilities of particular youth movements have further lasting effects and ramifications than the actual foundations of that subculture. 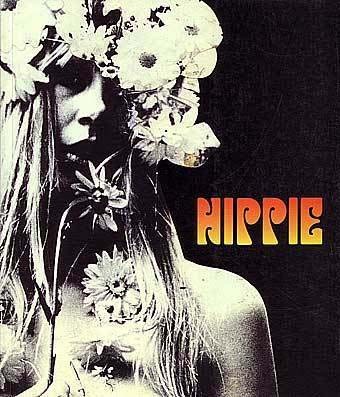 For as long as I can remember the Hippie ‘culture’ has been marketed and expressed in pretty much all facets of life. Feel the flower power or not, it’s there. Many times it’s hard to detect, sublime, and taken for granted, but today the ripples of Hippie Tinge encircle every part of life. I’m not suggesting we turn on, drop out, or even let our freak flags fly, though tuning in is still pretty crucial. In fact today it’s really not that subversive at all to subscribe to ideas that only 5 or 10 years ago would have gotten you branded a crusty granola. The idea of being aware of, and trying to minimize one’s carbon footprint is headline news at mainstream news outlets like ABC. Many Hippie-types may have sold out and become selfish, gentrifying yuppies, but some of their original environmental ethos remains and is being absorbed into broader culture. Global Warming, once only a theory of the alarmist left, is actually a part of the presidential dialogue, and both the blue and red,err,democratic and republican candidates are at least giving lip service to, if not creating the strongest rhetoric around issue it has ever had. Now this is not post to say we can all breathe a collective sigh of relief, but it is a start at trying not to destroy the only planet we know we can live on (so far), and it’s a start at explaining our culture’s hippie tinge (ahh). ~ by MikelJason on June 30, 2008.